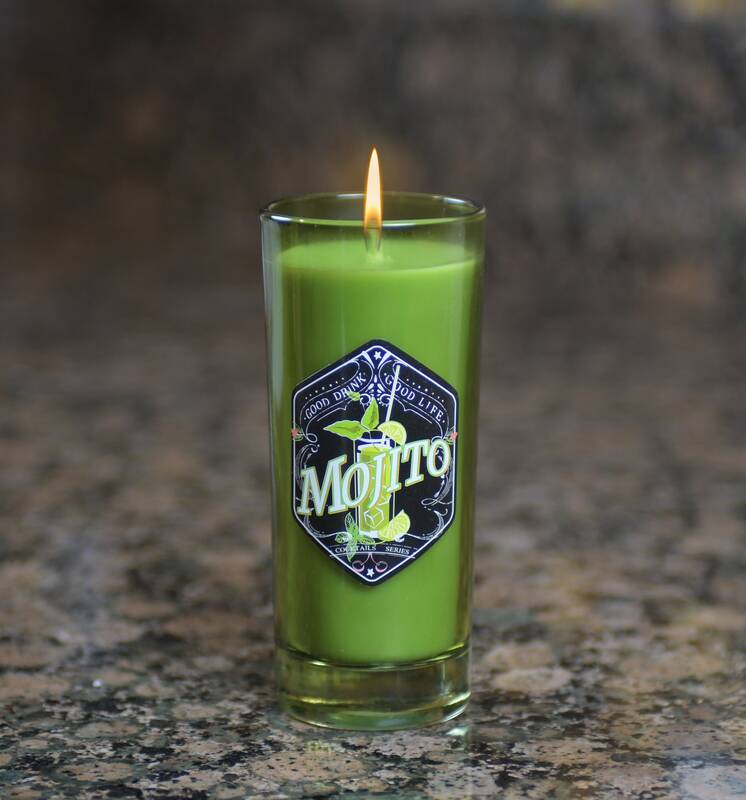 Special value 3 Piece Cocktail Scented Candles in fogged glass holder and scents of Strawberry Daiquiri, Mojito and Mimosa. 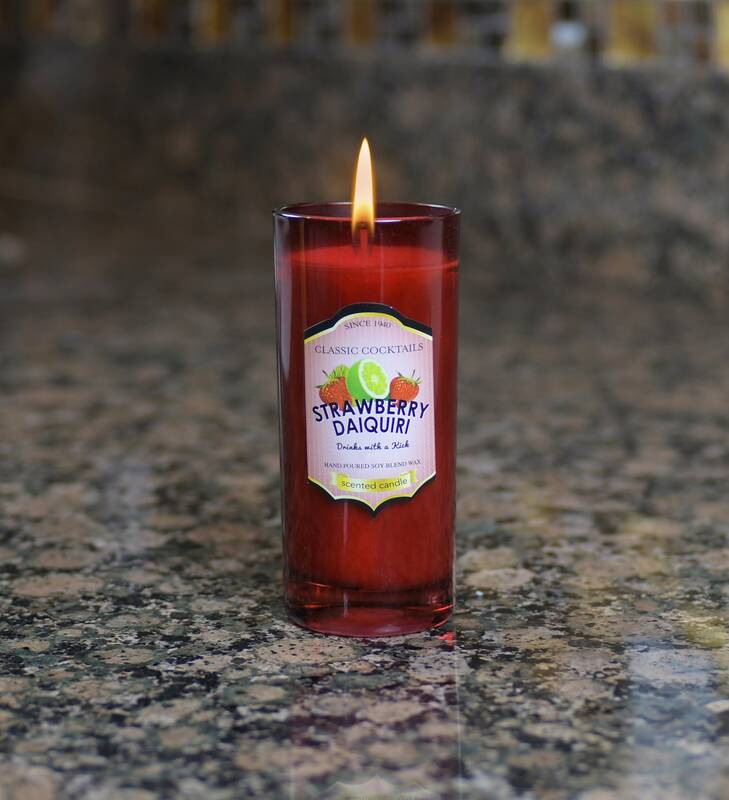 These candles are made from Soy Blend Wax and measure 5.9 in Long x 2.1 in Wide x 4.1 in High. 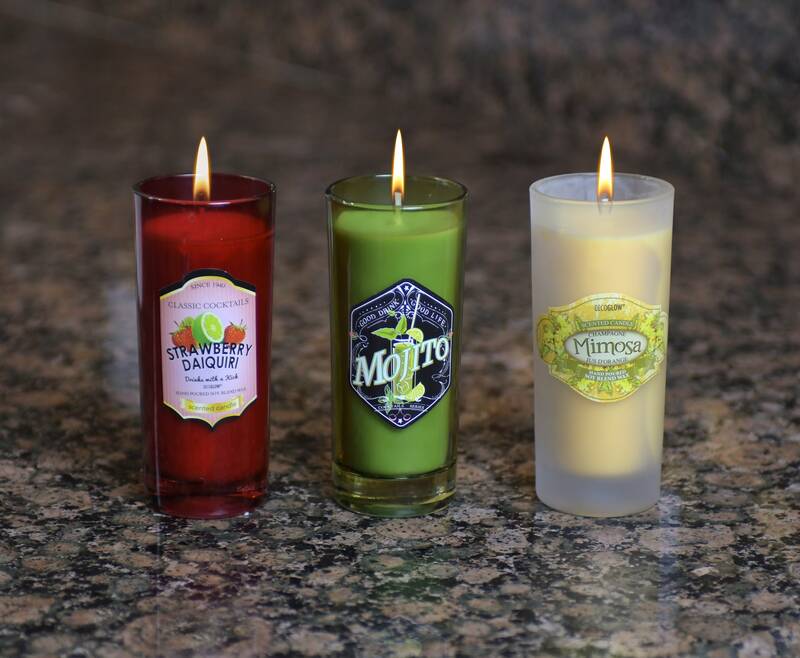 They make a great gift for anyone who enjoys a unique candle look and scent. Especially those who love their cocktails!!!! Scents include blend of Orange, Lime, Ginger, and Champagne. 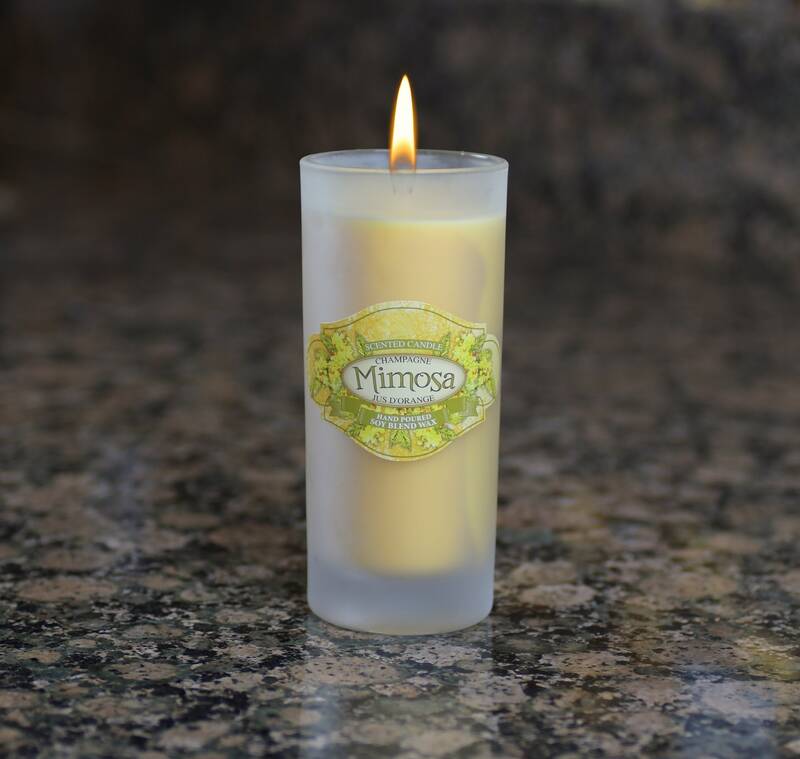 Why not make your gift the whole bar and include our 3 piece Wine Bottle Candle set also?